This budget 15-inch convertible laptop comes with the latest generation of Intel Core processors, a good-sized hard drive, lots of RAM, and a nice, big touchscreen. The Microsoft Store has another great sale on a Windows 10 2-in-1 convertible, and this one’s rocking the latest generation of Intel’s Core processors. 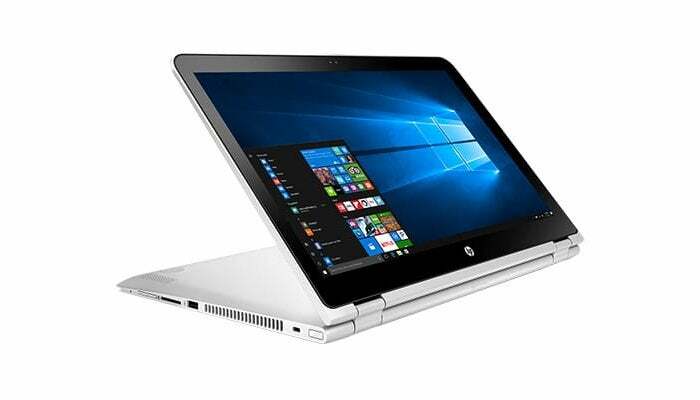 Right now, you can pick up the HP Pavilion x360 Convertible 15-bk193ms for $480. Like other devices sold at the Microsoft Store, this is a Signature Edition PC, which means bloatware from the computer maker is significantly reduced. The convertible laptop features a 15.6-inch 1080p touchscreen display, a 2.5GHz dual-core Intel Core “Kaby Lake” i5-7200U, 8GB RAM, and a 1TB hard drive. It also includes an SD card reader, two USB 3.0 ports, one USB 2.0 port, HDMI, Bluetooth 4.0, and 802.11ac Wi-Fi. Microsoft’s sale item only comes in silver and is loaded with the 64-bit version of Windows 10 Home. We haven’t looked at the Pavilion x360 since 2014, and that model was a much smaller version to boot. But HP’s done a lot of overhauls since then. This value-oriented convertible caught our eye because it doesn’t skimp on features yet is still lightweight for its class. Most 15.6-inch budget laptops start at five pounds, but this Pavilion is 4.6 pounds—just a few more ounces than the 15-inch convertible in HP’s higher-end Spectre line. With a battery life that lasts up to eight hours, that means you can still travel fairly easily with it.